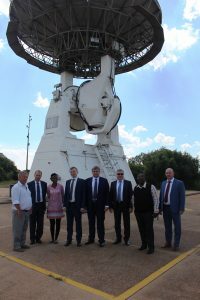 On 20 March 2019, SANSA hosted a delegation from the Russian State Space Corporation (ROSCOSMOS), at the Hartebeeshoek ground station. The visit was facilitated through the Department of Science and Technology (DST) as part of strengthening collaborative relationships with the international space community. 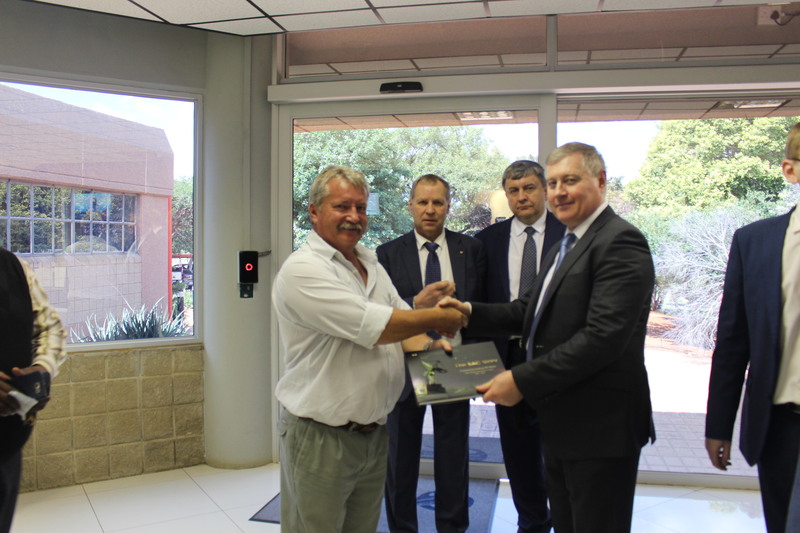 The team from ROSCOSMOS, was welcomed to SANSA by the Managing Director of Space Operations, Raoul Hodges and Gladys Magagula, Space Operations Project Manager. “It is always an honour to host international guests to our ground station, this provides an opportunity for SANSA to demonstrate has the national capability to provide and host key space facilities to enable operations and applications on the global scale,” says Raoul Hodges. The SANSA Space Operations facility is of interest to the Roscosmos team, as they would like to host an Optical Telescope for Space Debris tracking at the Hartebeeshoek station. SANSA also looks forward to further negotiate the possibility of hosting the Optical Telescope at SANSA for Roscosmos. International partnerships in Space benefit all our citizens and has an impact on the global community.